Go read! Reformed and always being reformed! 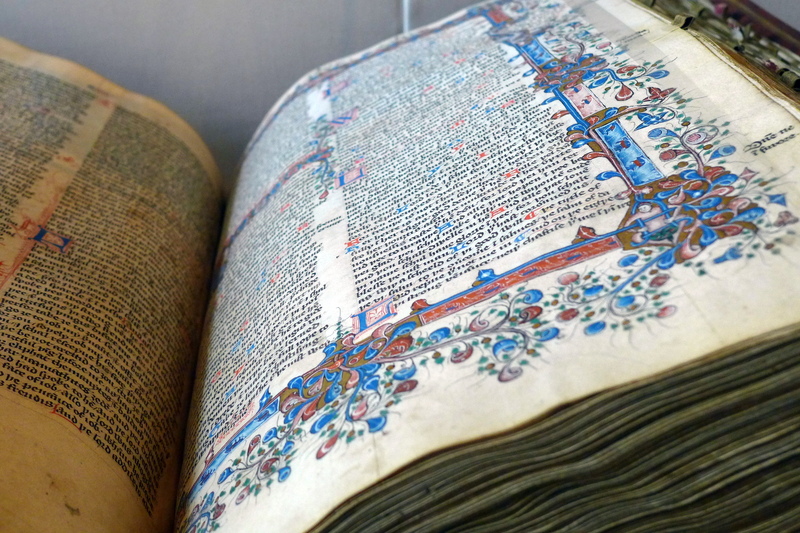 A Tyndale Bible, displayed at the Bodleian Library in June 2014, photo by Steve Bennett (stevage), via Wikimedia. Oh, no – not Latin again! But at least we have a translation. Semper reformanda means “always being reformed.” Where did the phrase come from? Dr. Horton answers this and shares some important insights in the article linked above. When we invoke the whole phrase — “the church Reformed and always being reformed according to the Word of God” — we confess that we belong to the church and not simply to ourselves and that this church is always created and renewed by the Word of God rather than by the spirit of the age.